November 23, 1907. A vicious storm raged on northern Lake Huron as the wooden steamer Monohansett struggled to find safe haven for the night. The brave captain fought through waves and fog finally making it to the lee shore of Thunder Bay Island, where he could see Lake Huron's second oldest lighthouse periodically shining through the dark mist. Relieved, the crew settled down to ride out the gale when a desperate shout from the engine room rang out, "Fire!" Within just a few hours, the Monohansett's cargo of coal and wooden hull burned and sank to the bottom; the crew of 12 barely escaped with their lives. Today the Monohansett rests in northwestern Lake Huron in Thunder Bay National Marine Sanctuary; its machinery (including an impressive steel propeller) and lower hull are still visible in 18 feet of crystal clear water. And the Monohansett is not alone. With more than 50 identified shipwrecks ranging from schooners to steamers and from depths shallow to deep, the sanctuary is a world-class diving destination. Even at its shallow depth, experienced divers enjoy exploring the site of the Monohansett; machinery parts, tail shaft and stern post can be seen just a few feet from the intact boiler and steam drum. Tiny gobies (an invasive species) usually dart spastically in and out of the bulk freighter's timbers, a remarkable structure that offers insight into the minds of the pioneering shipbuilders of the late 19th century. Lake life can also be seen on the wreck of the Grecian, a steel freighter that sank in Thunder Bay in 1906. Lake trout and salmon are often swimming about the 100-foot deep wreck site, and if you're lucky, you might catch a glimpse of a slow-moving eel-like burbot (freshwater cod). An ideal dive on the Grecian starts from the sanctuary mooring buoy near the intact stern, which rises nearly 30 feet off the lake bottom. Roughly midway along the length of the wreck, divers will find the ship split in half, making for easy penetration for trained wreck divers to explore below decks and the machinery spaces. Continuing forward, divers can dip down to 90 or 100 feet while making their way toward the Grecian's dramatic intact bow, complete with mammoth windlass. Details of early steel ship construction are evident in the collapsed and exposed midsection. Northern Lake Huron's deeper wrecks are even more intact. Sank in a collision with the brig John J. Audubon in 1854, the schooner Defiance rests frozen in time on the lake floor in 185 feet of water. With its two masts still standing and little damage to the hull, the Defiance looks like it could be hauled to the surface and readied for sail. Approaching the wreck from the bow, divers can examine deck features, including remnants of a cook stove, an upright capstan and the companionway leading to a shadowy main cabin. At the stern, the tiller is pushed hard to starboard, as if the helmsman were still trying to avoid the fatal collision. Rising nearly 90 feet above the deck the foremast crosstrees make for a convenient and exciting first decompression stop. Created in 2000, Thunder Bay National Marine Sanctuary protects one of America's best-preserved and nationally significant collections of shipwrecks. From Native American dugout canoes to wooden sailing craft and steel freighters, thousands of ships have made millions of voyages across the Great Lakes. The last 150 years have been particularly explosive transforming the region into one of the world's busiest waterways. Yet with extraordinary growth comes adversity. Over 200 pioneer steamboats, majestic schooners and huge steel freighters wrecked near Thunder Bay alone. Due to Lake Huron's cold freshwater, many of these sites remain virtually unchanged. With masts still standing, deck hardware in place, and the crews' personal possessions often surviving, sites located in deeper waters are true time capsules. Other shipwrecks lay well preserved, but broken up in shallower waters. The density of the wreck sites allows divers to experience a 19th century wooden schooner on one dive and a 20th century steel freighter the next. also protect shipwrecks from anchor damage. Through research, education and resource protection, the sanctuary works hard to ensure that the Great Lakes maritime heritage is accessible—whether underwater, on the water or even virtually! One of the ways the sanctuary does this is by maintaining seasonal mooring buoys on many of the area's popular wrecks. Available from May to September, the moorings make for safer diving and also protect shipwrecks from potential anchor damage. The mooring buoys are clearly visible and designed to allow easy tie up whether you're diving from a kayak or a dive boat. When planning an adventure to Thunder Bay, don't leave your non-diving buddies behind. Surface intervals in northeast Michigan are an incredible experience as well. Visit the Great Lakes Maritime Heritage Center in Alpena, where you can climb aboard a full-size replica Great Lakes schooner and explore a shipwreck without getting wet. The Heritage Center, free and open all year, also features a movie theater and shipwreck artifact gallery. Three historic lighthouses including New Presque Isle (the tallest one in Michigan open for visitors to climb) are within an hour's drive of Alpena. These picturesque remnants of a time when sailors' lives depended on the lights are a perfect complement to any dive adventure in Thunder Bay. Divers and nondivers alike can also visit sanctuary shipwrecks by snorkel, kayak or glass bottom tour boat. Dive on one of the early work horses of American history, such as the schooner Defiance depicted in this photomosaic. Diving Thunder Bay is a way to experience the story that shaped a young America. Peer back through history and see firsthand the shipwrecked schooners thwarted from delivering goods to an urban east coast. Dive examples of some of the first steel freighters to ply the oceans and Great Lakes now lying broken on the lake bottom. And see the broken timbers of paddlewheel steamboats that carried hundreds of thousands of settlers, maybe even your ancestors, to the burgeoning towns of America's West. Why so many wrecks in Thunder Bay? After taking a look at a sanctuary map and the dozens of wrecks dotting the seascape, many people ask, "Why are there so many wrecks around Thunder Bay?" There are three major factors that earned the treacherous area the nickname "Shipwreck Alley." First, weather: This corner of Lake Huron is known for unpredictable weather, murky fog banks and sudden gales. There is definitely a reason they call it Thunder Bay. Prior to modern weather forecasting, such conditions could easily take a captain and his ship by surprise. Shallow, rocky shoals also play a role. Before reliable charts and modern navigation equipment, many ship hulls were torn apart by the jagged rocks scattered across the lake bottom. And finally the Great Lakes are one of the world's busiest waterways. Historically tens of thousands of vessels hurried from port to port, sometimes cutting across shipping lanes to increase a shipowner's profit margin. Lake traffic converged just outside Thunder Bay and led to one of the main causes of Great Lakes shipwrecks: collisions. Conditions: The shipwrecks of Thunder Bay range from 5 feet to over 250 feet deep. With this variety, beginner to technical divers can enjoy the shipwrecks of Thunder Bay. 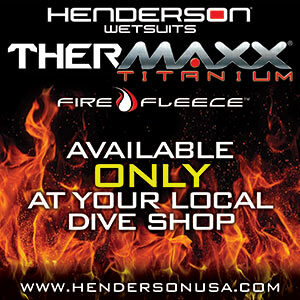 The dive season generally runs from May to October with some opportunities for ice diving in the winter; check with a local dive shop to determine the best time to plan your trip. Visibility can be stellar in early summer reaching up to 100 feet. Air temperatures range from the low 50s°F to high 70s°F in June and July and from low teens to high 20s°F in January and February. Sudden storms or sunshine can crop up unexpectedly on Lake Huron; be prepared with rain gear and sunscreen for topside intervals. Remember, Lake Huron is freshwater so you will have to adjust your weight if you are accustomed to diving in saltwater. Getting there: Thunder Bay National Marine Sanctuary is 448 square miles in northwestern Lake Huron near the charming city of Alpena, Mich. Just 1.5 hours south of the Straits of Mackinac and four hours north of Detroit, Alpena lies along scenic shoreline highway US23. Daily flights operate out of Alpena County Regional Airport. Dive operators: There are a number of dive charter companies in the area; their contact information, along with tips on local restaurants and lodging, can be found at the Alpena Visitor Bureau. Several dive shops and clubs come to the sanctuary from across the U.S., so check with your local underwater buddies. If they don't already make an annual trek to Thunder Bay, maybe you'll convince them to start. If your dive team is self-sufficient there are a handful of user-friendly marinas and boat ramps in the area including Alpena, Presque Isle and Rogers City. Explore "The Wrecks of Thunder Bay: A Photo Essay"